Students were discussing the Great Depression in Social Studies class. They chose pictures from the internet and became that person. They were also discussing the fifty states, so they were able to chose a person from the state they were researching on. They were able to locate the state on the map and place a string from the journal to the state. 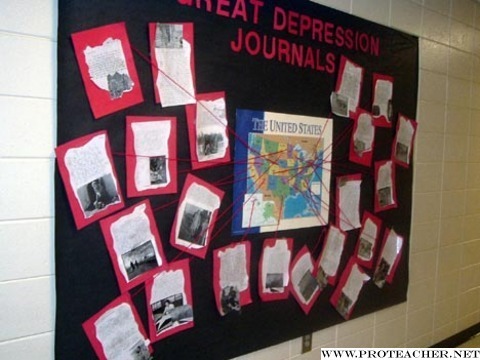 The journals were factual stories that supported their knowledge of the Great Depression.